Walter Jackson Bite's canonical 1939 study of Keats's concept of negative capability is a genealogical treatise that unearths the socio political, aesthetic, and intellectual composition of Keats's most famous poetic idea. He discloses its relation to Hazlitt's idea of "gusto" and to Shakespearean notions of impersonality and intensity while also demonstrating how negative capability presages Bergson's conceptual interpretation of intellect and intuition. Bate reveals how the key elements of Keats's poetic concept are disinterestedness, sympathy, impersonality, and dramatic poetry, defining negative capability as "the ability to negate or lose one's identity in something larger than oneself a sympathetic openness to the concrete reality without, an imaginative identification, a relishing and understanding of it". With 'negative capability, Keats railed against the rampant egotism of his epoch and challenged the certainty of its claims to knowledge. While embracing reality, Keats urged the necessity of abiding in uncertainties, mysteries, and doubts. 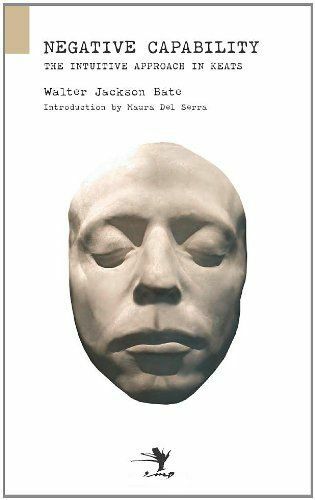 This new edition brings back into print Bite's indispensable work and features an introduction by the distinguished Italian poet, playwright, and literary critic Maura Del Serra. With its republication, Eliot's proclamation on Keats is given new force: that "there is hardly one statement of Keats about poetry which . will not be found to be true".